Here’s a look at how our local real estate market closed out the year. 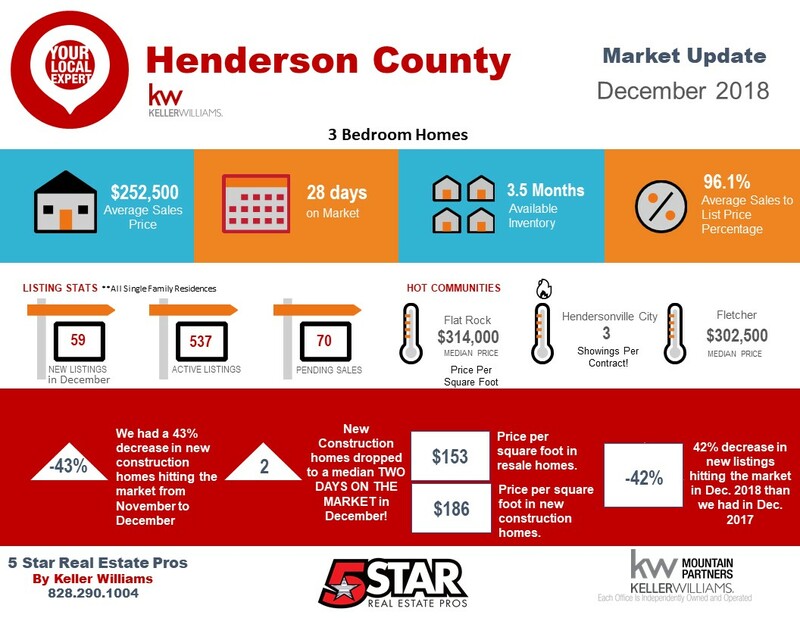 We had a 42% decrease in homes hitting the market in December 2018 than we had in December 2017. If you are interested in selling your home, this is great news for you! You have less competition in homes hitting the market right now, meaning your home will demand more attention in the market, thus raising the price. On the buyer side, home values are still holding steady. We expected a raise in interest rates, which would make the home-buying experience a little harder for most, but we actually saw a decrease in interest rates, and we are back under 5%! So far, the outlook is good for the market in 2019!